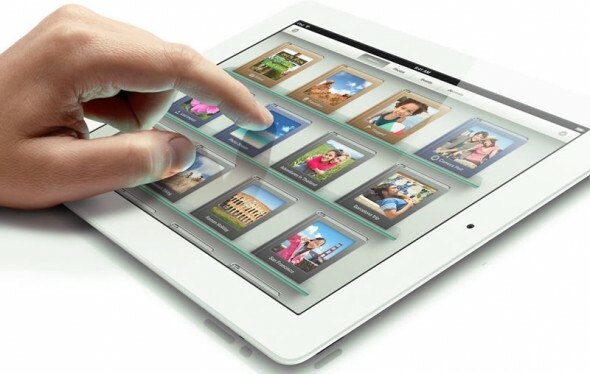 The new iPad also gets a new back camera with a 5-megapixel backside illuminated sensor and a five element lens. US shoppers are also looking at the possibility to grab a 4G LTE enabled model from AT&T or Verizon. Despite the increased hardware demands from the new display, Apple has managed to keep the new iPad almost as thin and light as the iPad 2. The new version measures 0.37 inches (9.4mm) thick, just 0.03 inch thicker than the iPad 2 and weighs 1.44 pounds (652g). Battery life is also maintained at 10 hours, going down to 9 hours for the LTE version. You can get the Wi-Fi only version for $499, $599 and $699 for 16, 32 and 64GB capacities. The 4G LTE iPad goes for $629, $729, and $829 respectively. Pre-orders start today for the US, Canada, United Kingdom, France, Germany, Switzerland, Japan, Hong Kong, Singapore and Australia. The new iPad will be shipping on March 16th.